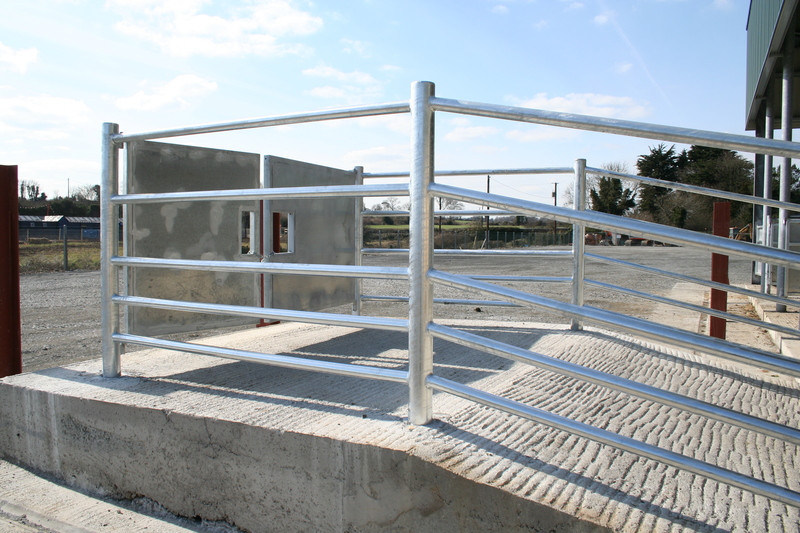 We profile two new Mart developments at Ardee and Kilkenny that required galvanizing treatment as an integral part of their fabrication and construction. 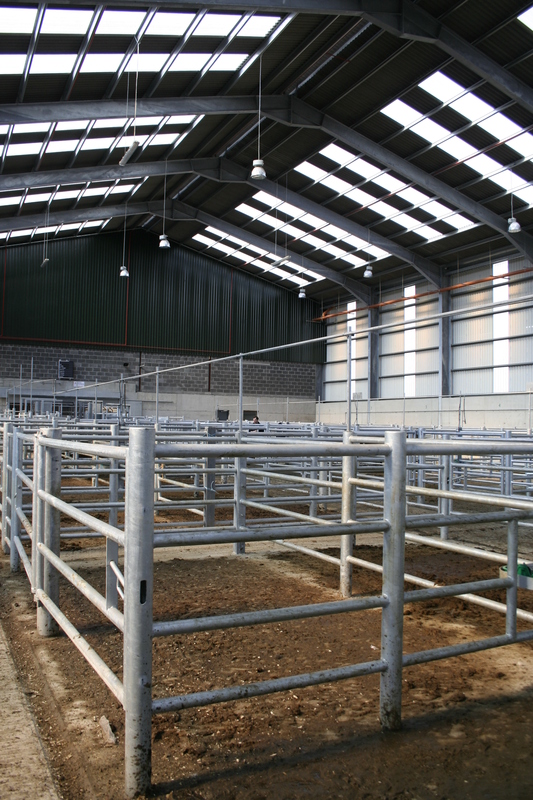 The new livestock mart complex is just off the M1 motorway at Ardee, Co. Louth. It relocated to this brand new out-of-town premises in April 2006. Serving farmers across the North East, it is a busy place with thousands of cattle and sheep travelling though the premises each year. 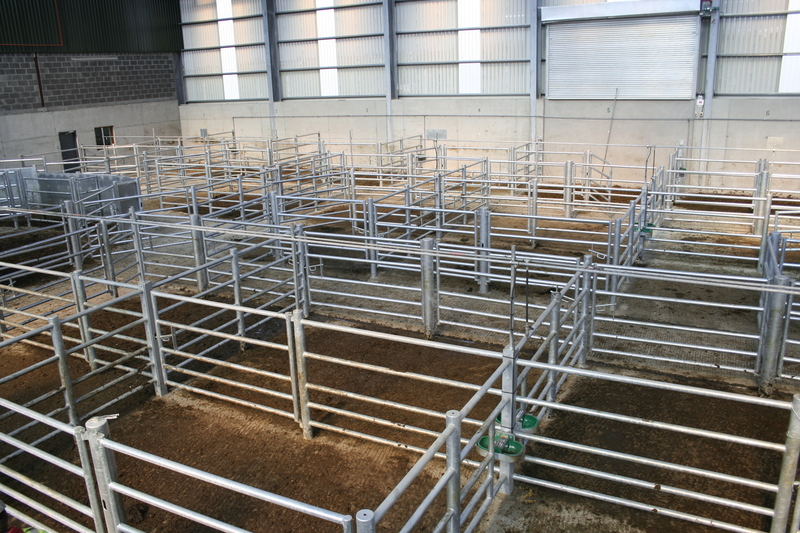 Keeping animals moving smoothly is a function of the sophisticated system of penning and gates designed to be completely adaptable depending on the type of sale. Practically all the steel in the mart is galvanized, from the main structural steel frame of the building through to the individual pen divisions, gates and walkways. Hygiene is essential of course and the complex has to be power-washed after every sale. 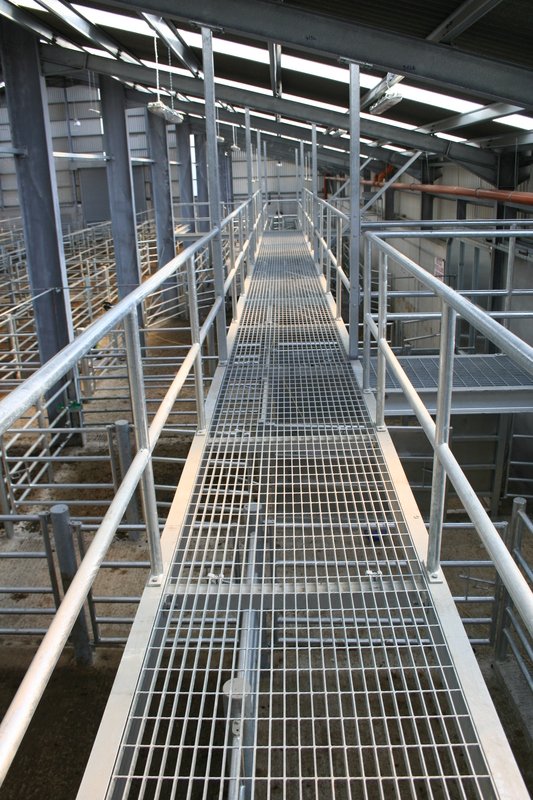 Nervous animals produce plenty of corrosive material so galvanizing was a natural choice to ensure longevity! 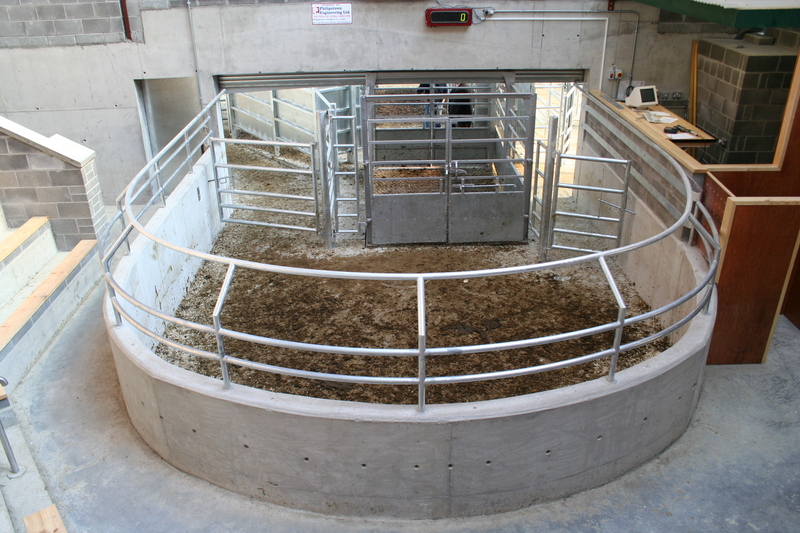 Keeping the livestock where they are supposed to be in such a fast-paced environment is helped by a number of clever design features like the gravity bolts on the gates and sprung hinges to automatically close the pedestrian gates. They carry the signature of local architect and engineer Frank Aitken who was responsible for the layout and design and I imagine he was keen to get a reliable local firm to turn his plans into reality. The mart owners are very pleased with the new building not least because the operation runs so smoothly that sales take three to four hours less than they used to in the old mart. That’s a big cost saving for the operators and an early tea for a lot of hungry farmers. SERVICE is everything for structural steel business Paddy Wall & Sons based in New Ross, Co. Wexford. “Performance, performance, performance,” emphasises Liam Wall, managing director. This is the key to their success which is evident in the 70% project work coming from repeat customers.